Understanding the city budget by visualizing data, providing a forum for dialogue, and sharing essential information about the budget process. See the entire FY2017 budget and drill down into various departments and programs. 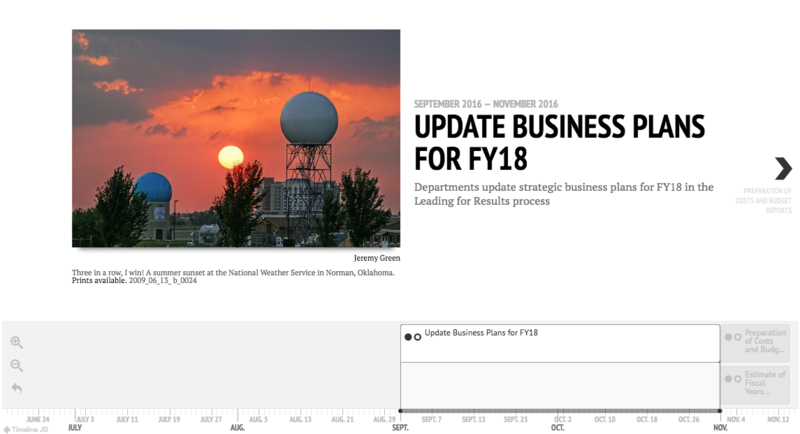 See the timeline that Oklahoma City uses to propose and set their budget. See the differences between the 2016 and 2017 fiscal year budgets. 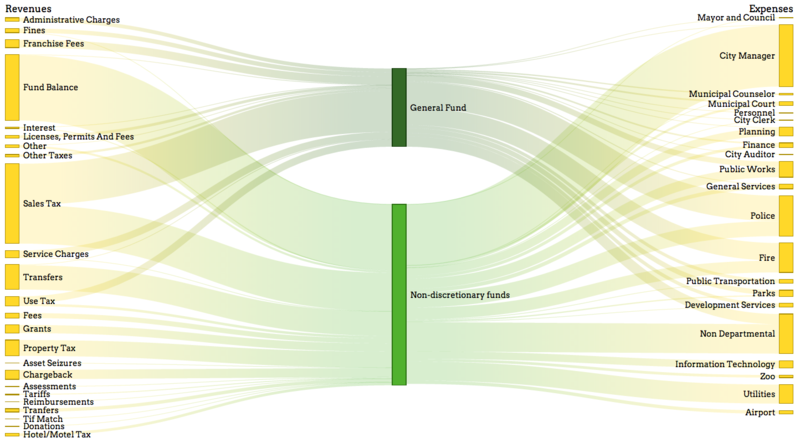 See how money flows from revenue into expenses. Open Budget: OKC promotes a deeper understanding of the city budget, so that citizens, officials, and other stakeholders can engage in more informed dialogue about how the Oklahoma City budget currently works and how it should work in the future. We work with community groups to learn what aspect of the budget is most relevant to them, and how it would be best shared with the public. We work with Oklahoma City's Budget Office to access budget data and present it in a simple, useful format. 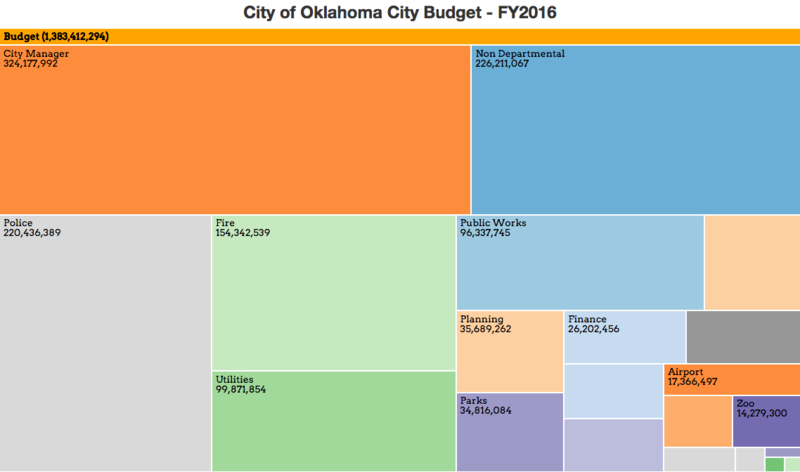 We visualize Oklahoma City's budget data, and share resources for people to create their own visualizations and analyses. 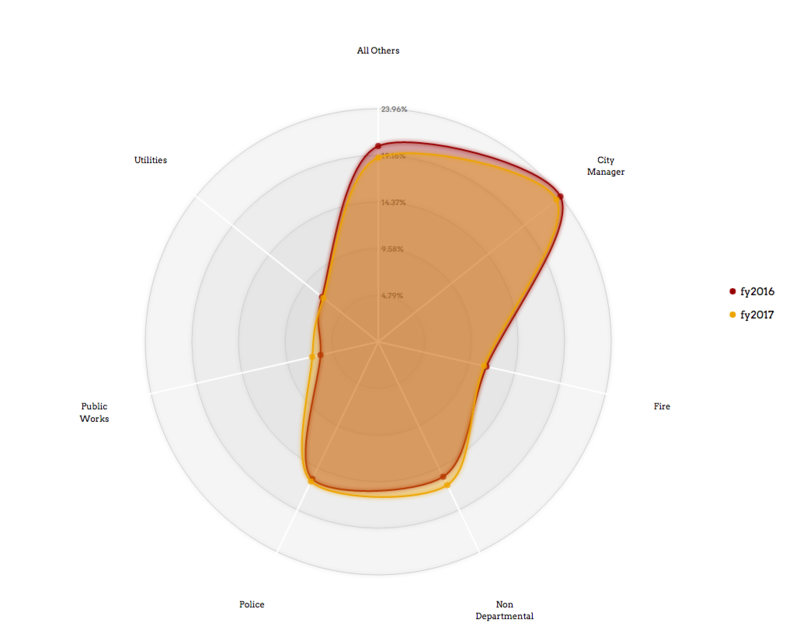 We use tools that are free, open-source, and require minimum technical skill. We stimulate dialogue and provide a forum for the Oklahoma City community to discuss the budget. Now that you know our goals, please share your ideas here. Open Budget: OKC is a project by Code for OKC and is the result of many contributors including coders, community advocates, and city officials. We're looking for ideas and help, so get in touch and join in at our monthlymeetups. We have a monthly in-person meeting (please check Meetup.com for location and time) and an online virtual meeting on the 2nd Wednesday of each month on our Code for OKC Slack. Open Budget: OKC is an open-source project by Code for OKC to help citizens better understand OKC's spending and budget process.